The Trump administration was dealt a body-blow Friday after a House bill aimed at replacing Obamacare was pulled from the floor . The GOP bill faced opposition not just from Democrats, but also from conservative and more moderate Republicans, and was not able to secure enough votes to pass. The Dow Jones industrial average (Dow Jones Global Indexes: .DJI) fell 45.74 points, or 0.22 percent, to close at 20,550.98, with Chevron lagging and DuPont leading advancers. 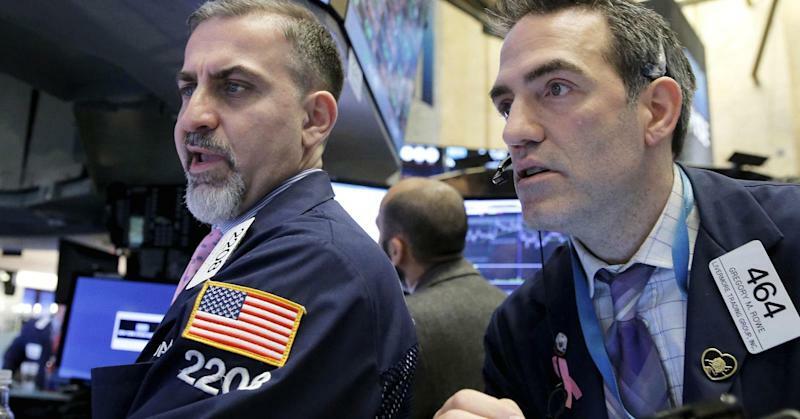 The S&P 500 (^GSPC) dropped 2.39 points, or 0.1 percent, to end at 2,341.59, with telecommunications leading seven sectors lower and health care the biggest riser. The Nasdaq composite (^IXIC) gained 11.64 points, or 0.2 percent, to close at 5,840.37. The CBOE Volatility Index (VIX) (^VIX), widely considered the best gauge of fear in the market, traded near 12.6.